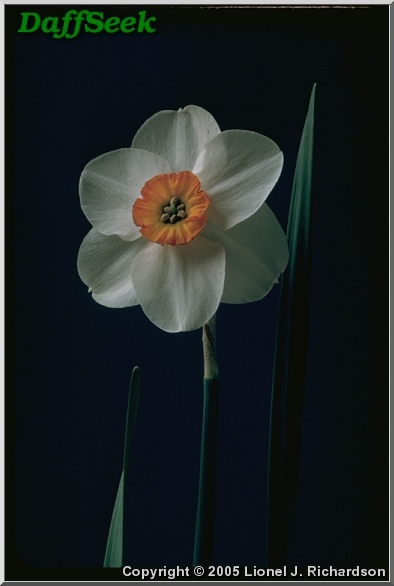 Awarded by the Royal Horticultural Society in 1951. 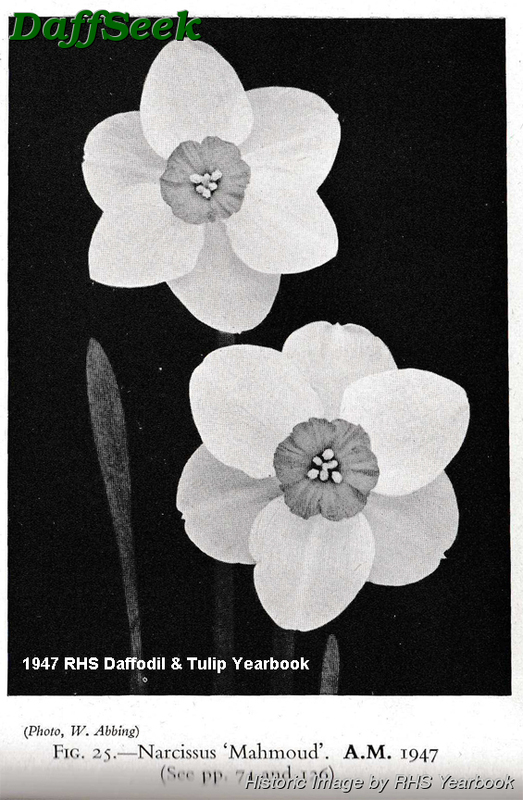 FCC(e) 1951; This plant earned the Award of Merit (AM). 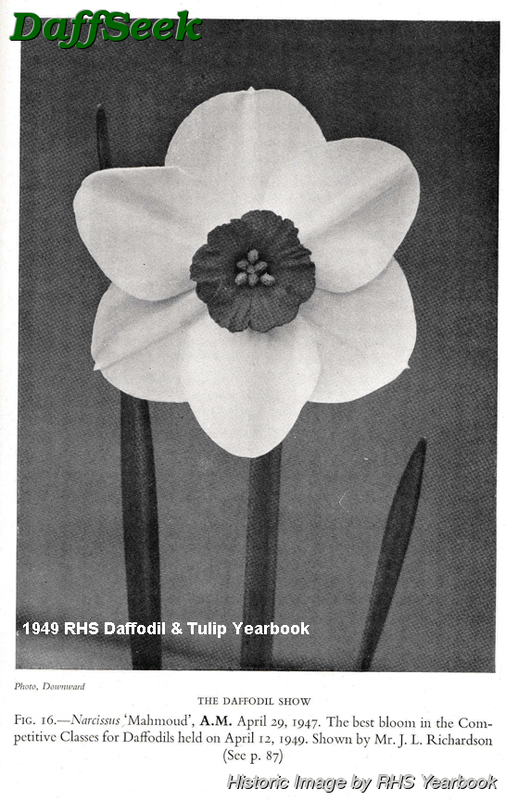 Awarded by the Royal Horticultural Society in 1947. 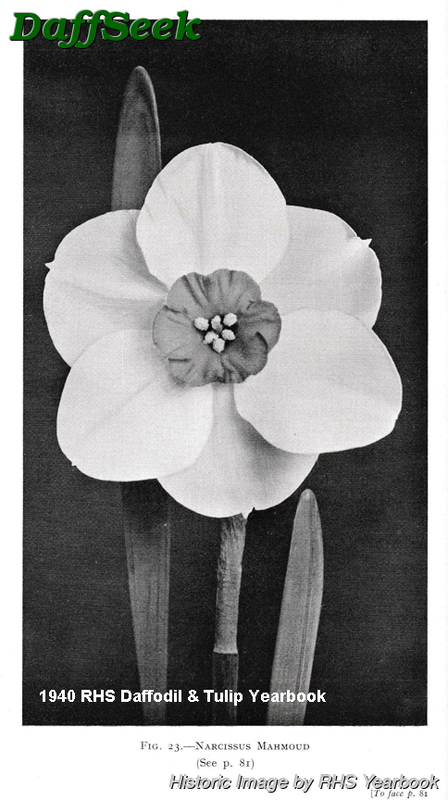 AM(e) 1947; This plant earned the Certificate of Preliminary Commendation (PC). Fl. 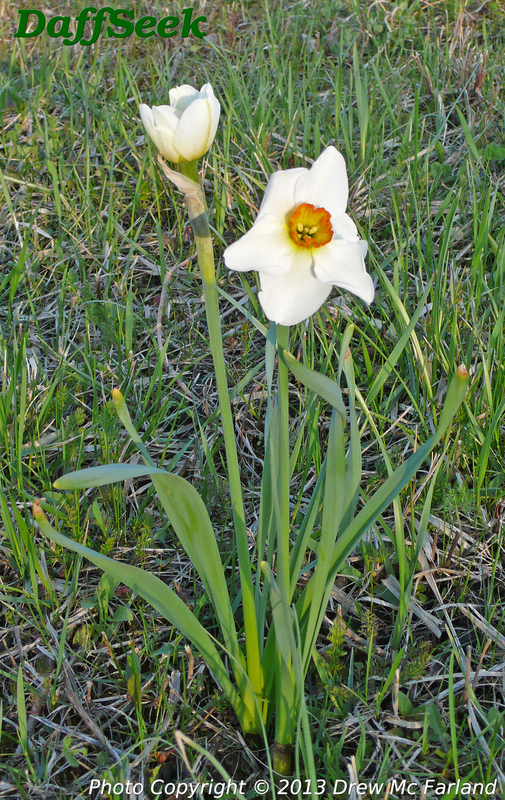 89 mm wide; perianth segments very broad, rounded or squarish at apex, sometimes truncate, prominently mucronate, snow white, spreading, a little concave either side of the lightly raised midrib, of waxy texture, overlapping half; the inner segments ovate or roundish, a little inflexed, with margins wavy; corona almost disc-shaped, ribbed, orange-red, mouth with six lobes sometimes overlapping.